15 days of 8 hours and the second year comprises 8 days of 10 hours. The students therefore receive a total of 200 hours of classes. The basic course starts with the compulsory first 3 modules. Depending on the number of students, the language of instruction is English, German or Dutch. Classes take place in small groups, making it possible to provide effective supervision to individual students. The first 3 modules (G1, G2 and G3) are a compulsory foundation for the other theory classes. The other theory classes are given on Saturdays, Sundays or Friday afternoons and evenings, taking into account public holidays and school holidays. The Saturday and Sunday classes take place from 9:00 am to 5:00 pm with a lunch break of 1 hour. On Fridays we usually start at 2:00 pm and continue with theory classes until 9:00 pm, during which time we take a short break for a business lunch. The practical classes in the second year last 1 hour longer per class day. If you miss a class, you can make it up a year later. This can be done in consultation with our administration and after payment of the corresponding costs. The classes are held when the desired teachers are available. The practice days in the second year are mandatory. Please note that the entire course must be completed within 3 years at the latest. This term can be extended to 5 years in consultation with our administration. Each year is concluded with an exam. The intermediate exam, after the 15 theory classes, is partly written and partly oral and results in the A certificate. The final exam at the beginning of the third year is given orally as an official exam by an academic, a German-speaking teacher and one of the members of our education committee. This final exam follows an optional exam preparation day. During this day, earlier exams will be reviewed and practical examples will be discussed. Writing a thesis is not mandatory. The course that starts again in January 2018 costs € 2,775 per year (2 x € 1,400 per year in case of payment in 2 instalments; other arrangements are also possible), including provisions (lunch, coffee and tea) and study materials. The fee for the intermediate exam (theory exam) is included. A cost price will be charged for the final exam. The course will take place if there are 12 participants or more in the first year. If not enough students apply, the course may be moved to Germany. SWERF guarantees the return of the entire amount if the course cannot take place at all. Once the teachers have been contracted, cancellation by the students is no longer possible. Administration costs will then no longer be refunded. You can already sign up for the course that will probably begin in January 2018. You can register via the registration form. In the first year, English-language study materials provided by the DÄGfA will be used. In the second year, we will ask you to provide patients yourself to demonstrate therapeutic strategies and therapy treatments. After the first year of 15 days of 8 hours of theory and a written or oral exam for the A-certificate, we will continue with the clinical classes. The days with clinical classes will last 10 hours each. The classes are given on Friday afternoon and evening, Saturday morning and afternoon and Sunday morning and afternoon. The higher costs of the clinical days require a higher daily rate; namely € 225 per day (€ 1,800 per year). associations with your A and B certificates from SWERF. The following schedule is intended for established acupuncturists who wish to follow one or more modules of this course and obtain accreditation points for this. Date: see schedule with dates (1st year 15 modules). Start on the weekend of 13 January 2018. Lecturers: see registered lecturers (Irnich, Stör, Luxenburger, Bachmann, Pollmann). 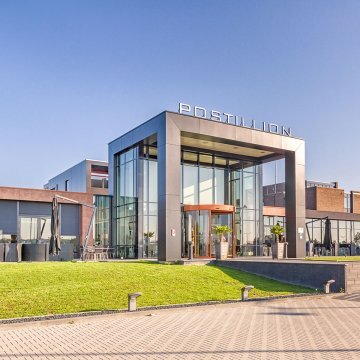 Place: Postillion Hotel, Kosterijland 8, Bunnik, the Netherlands, 030 21 505 15. Time: Saturday and Sunday 9:00 am to 5:00 pm theory (until 6:00 pm for clinical classes), with 1 hour lunch break and 2 x 30 minutes extra break. Friday 2:00 pm to 9:00 pm theory (until 10:00 pm for clinical classes) with a 30-minute food break and a short coffee break. Costs: € 185 per day (theory class) including business lunch, coffee and tea, and € 225 per day (clinical class) including business lunch, coffee and tea. Account number: NL36 RABO 0305 0788 60 in the name of SWERF. Target group: acupuncturists and dentists. Accreditation: WAVAN 6 punten acupuncture.